What the Success of this Capital Campaign means for YOU! Notice the partially collapsed start-area tent in the background! A permanent start stadium for the Birkie, at Telemark – the birthplace of the American Birkebeiner. No longer will the ABSF have to battle private land easements and FAA regulations every year to ensure the race will have a starting point. This is security that the Birkie will be at Telemark forever! A large, heated, Birkie-owned building located at the start – a place for you to stay warm and protected from the elements on race day before heading out to ski an epic journey on the American Birkebeiner or Kortelopet Trails. No longer will you need to worry about where to put your boots on and how to stay warm before your race. No longer will you need to worry about the tent collapsing on you because of heavy snow or winds! Faster and safer access for busses and skiers riding on busses– how does having your bus drop you off right next to the start area sound? No more walking down that icy, congested hill! The improvement and extension of McNaught Road will shorten bus turn-around time by over 6 minutes, meaning less time waiting for your wave to start. A new year-round trailhead located right near the start, so you can train from the start of the Birkie all year round. This official Birkie Trail access point will include a warming cabin and restrooms, and its proximity to the CAMBA trails will make it a perfect spot for skiing, mountain biking, snow-shoeing, trail running, and hiking. Fewer Hills! Yep, with re-routing the beginning of the trail you’ll miss the first half of the Power Line Hills that are just across McNaught Road. Don’t worry though, you’ll still catch the second half of the power lines, and we’ve given you a few new hills closer to the finish to make up for it! Regular grooming of the north end of the trail system. The start area building will house grooming equipment throughout the rest of the year, making it easier and faster for us to groom the north end of the trail on a regular basis. This gives you one more place to enjoy the pristine corduroy and track on the American Birkebeiner Ski Trail system. And if the improvements at the START are not enough, read on to see how YOU will benefit from improvements at the FINISH! Providing safer traffic flow around the finish area by re-creating the International Bridge from the Tony Wise days – you will ski up and over Highway 63 as you sprint toward the finish in Hayward! The bridge will eliminate the lengthy detour vehicles must take to get around the race by allowing traffic to continue travel on Highway 63 right through Hayward. This is especially important for emergency vehicles like ambulances and fire engines who may need to quickly get from one side of town to the other. Yes, it is one last hill, but think of the view from the top of the bridge – right up Main Street to the finish line! Expanded finish line area – Did you like changing clothes on an icy floor in a cold, partially collapsed tent last year? We thought not! The expanded finish line area will make it easier to access your clothing bag, and give you a warm, indoor facility to change out of your ski gear – this means you will be dressed warm and dry, and on your way to the beer tent faster! Skiers will enjoy their final food station inside a warm building rather than in a cold tent (which may or may not be collapsed). Soup will be HOT – Beer will be COLD! Birkie Finish Line Festival – Just when you thought it couldn’t get any better… Bigger and more exciting post-race festivities at the Birkie Finish Line Festival – making an unforgettable race day experience even more amazing. By moving changing tents and skier’s final food station closer to the finish line, we’ve made more room for F-U-N!! Skiers and spectators will enjoy an expanded area for food, drinks, and fun finish line activities, including a world-class Champion’s Podium. Yes, no matter how fast or slow your time is, everyone’s a winner when they have their picture taken on the podium! NONE of this will happen if we do not raise another $300,000 in the next 4 weeks. Ok, yes, it will happen eventually, but will take a whole lot longer and will put ABSF finances in a precarious situation. Your race fees pay for the race and to cover basic maintenance of the trail; when it comes to capital improvements like this, we need your help! If you’ve already donated, thank you! But please don’t consider your job “done” – we need you to poke your Birkie friends and business owners to contribute too. Construction on the new start stadium must begin this spring in order for it to be ready for the 2017 American Birkebeiner. We’d feel a whole lot more comfortable committing to this work knowing we have the funds in the bank. 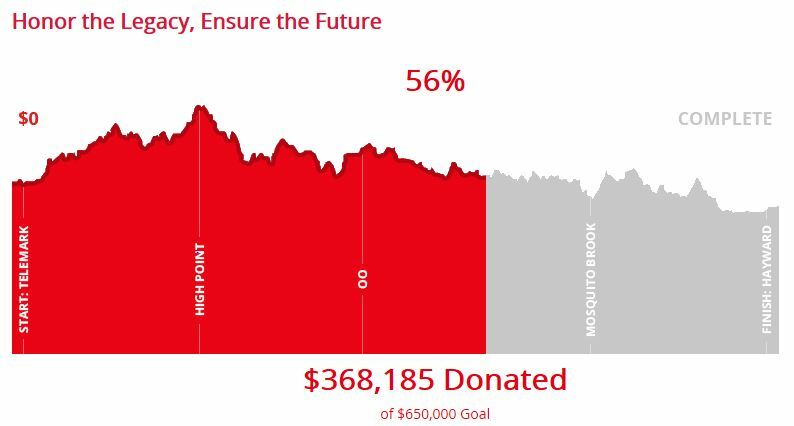 We’ve worked very hard to raise $343,000 in just 2 months – that is just over 50% of what we need for Phase 1. But raising the second half will be even harder. 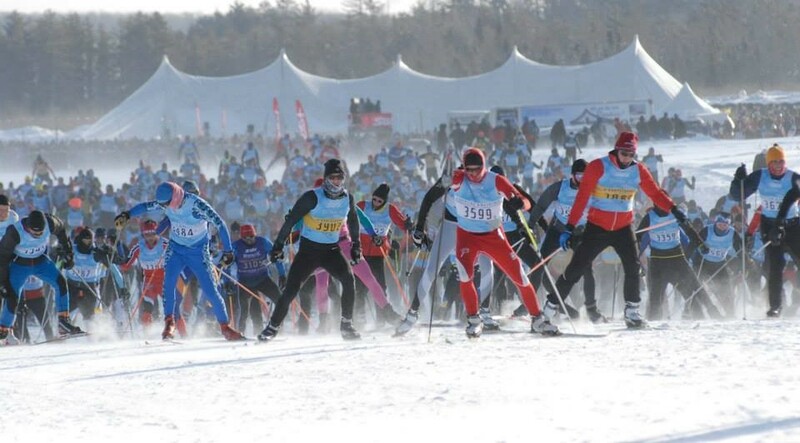 Phase 1 is for the skiers – all of you who participate in any of the American Birkiebeiner events. The Birkie is no longer just a race that happens one day a year – it has evolved into a community, a year-round lifestyle, an ideology of healthy living – and the lifeblood, the thread that holds it together is the race itself. Success with our first ever Capital Fundraising Campaign will ensure our future and make the race even better. It will take the entire Birkie Community to make this happen and to make sure the Birkie is around forever. The ABSF is a non-profit 501(c)(3) organization. All contributions are tax deductible to the extent allowed by law. Work with a qualified tax consultant and financial planner to maximize your contribution! Thank you for considering the ABSF in your 2015 giving plan! Questions? Contact ABSF Development Director Amy Rowley at amy.rowley@birkie.com or call her at 715-634-5025.